The Alliance of American Football is off to a good start in every way possible. The Saturday night games showed the most promise. This was probably due to the fact that Steve Spurrier coached his Orlando team that night. The ratings were good. The combined AAF spots beat the competing NBA game (Houston vs. OKC) in the ratings. And betting action was quoted to be about equal to a regular college basketball game (not huge, but by no mean insignificant). 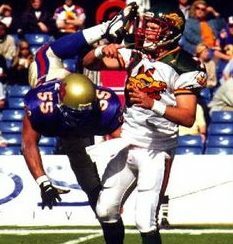 Before everyone is all in on AAF it is important to remember that the XFL started with a ton of excitement and decent ratings as well. It quickly drifted off into oblivion, although, I must admit that this does have a different feel to it. Personally, I think they could have done much better with the creation of the team mascots and uniforms. The Arizona Hotshots has to be one of the worst team names and is right up there with the Pelicans of New Orleans, Yuck! The Atlanta Legends? Legends of what? They have played one game, how could there be any legends? The team names are reminiscent of other defunct football league team names: Oakland Invaders, Memphis Showboats and Tampa Bay Bandits from the USFL for example. In fact, both leagues had a “Stallions”. In the USFL is was the Birmingham Stallions. Now it is the Salt Lake Stallions. The uniforms are pretty bad too. They look like something from the World League (later became the NFL Europe). 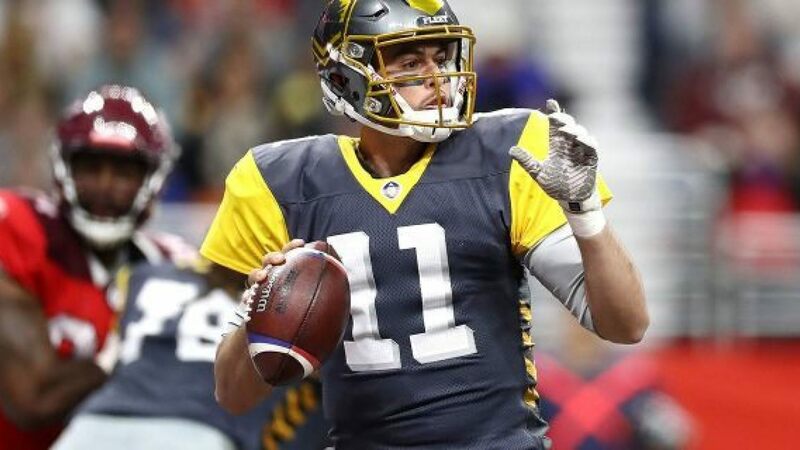 If you squint your eyes just a little bit while watching the new AAF, you may think you are watching Kurt Warner sling the ball for the Amsterdam Admirals again. But, I am going to digress before it seems like the point of this article is to bash the AAF. I think it’s a good thing to have options when it comes to football. The NFL has a monopoly on pro football and I think monopolies are never good for the customer. The AAF doesn’t have to be as big as the NFL, it never will be, it only has to be profitable. As we roll into week two, it is important to remember that a little homework will help your cause if you are going to bet on this new league. Many of the players have played college football and some even took snaps in the NFL and CFL, although, almost every player out there I have never heard of before. There are plenty of resources available for research. CBS has a TV contract with the league so they will be publishing plenty of content, including this power ranking which has the team with the second worst name in American pro sports (next to the Pelicans) as no. 1 overall.